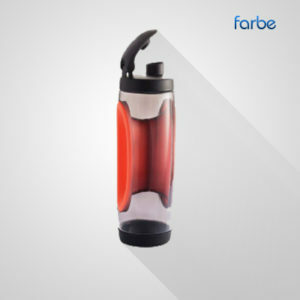 Travel Mug with Lid – Are you looking to buy branded travel mugs online? Great, because you have come to the right place. Printed travel mugs are very popular promotional products, why not gift your best customers with your very own personalised thermal mug. 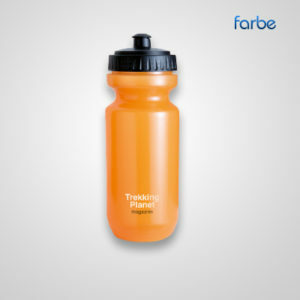 Travel-mugs are very durable products, meaning your branding will be seen repetitively due to their long lifespan. 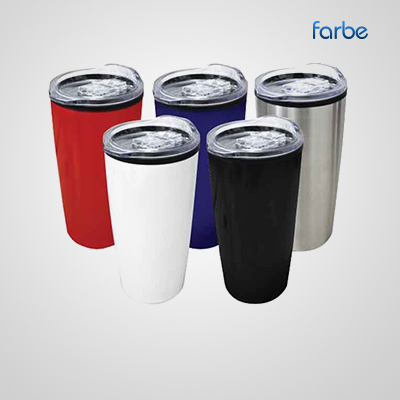 We offer both metal & plastic thermal mugs with various colours available. 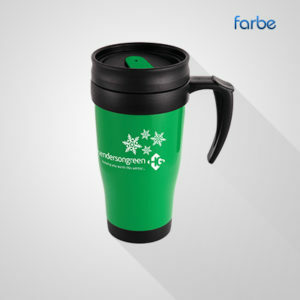 Branded Thermal Mugs make for great promotional items that have a real impact on the user. 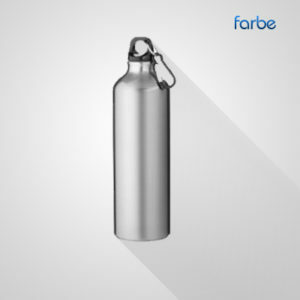 They are useful, long lasting and highly visible, making them perfect for promotional giveaways, and here at Farbe Middle East we offer the best quality products at the best possible prices. Printed Thermal Mugs are popular items for marketing brands due to all of the benefits they bring to the user, but they also allow you to promote your brand effectively due to the full colour printing available on some of our mugs. Some of our thermal mugs have full colour wrap around printing meaning your brand name or logo will be visible from any view.